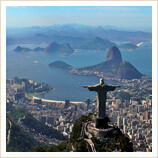 All our holidays and tours of Rio can be 100% tailor-made, so just get in touch to plan your dream trip to Rio. Most people choose the Copacabana district as their holiday base in Rio as it has a wide selection of hotels, bars and restaurants. The famous beach is at the heart of this popular district, and it’s a good idea to start off your tour of the area with a stroll along the palm-tree lined promenade. There are numerous kiosks right along the beach which serve snacks, small meals, ice cold beers, and of course the famous caipirinhas. 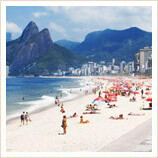 To the west of Copacabana, the second most popular area to stay in when on holiday in Rio is Ipanema. Everything is a bit more upscale and exclusive and Ipanema beach rarely gets as busy as Copacabana. Hotels tend to be more expensive and you really won’t find much, if any, budget accommodation, but many people enjoy the slightly more relaxed and exclusive atmosphere that Ipanema offers. If you want to get a feel for a different side of Rio and being near the beach isn’t a top priority, you might appreciate an alternative to both Ipanema and Copacabana. Up in the hills overlooking Rio is the district of Santa Teresa, home to winding streets, artists, art galleries, studios and various bars and restaurants. This area was originally home to some of Rio’s wealthiest families, and you’ll understand why when you see the fantastic views of Rio from here. Most of Rio's major tourist sites are in Zona Sul (literally South Zone) which includes the beachside suburbs of Copacabana, Ipanema, Leblon and Leme. It’s the wealthiest part of the city and is also where most of the better hotels are. As well as the two famous beaches of Copacabana and Ipanema, Zona Sul is home to Sugarloaf Mountain, the lovely Botanical gardens, and the stunning Tijuca National Park which forms the south-western border of the city. One of the real highlights of any holiday in Rio is a trip on the funicular railway up to the top of Mount Corcovado, to see the famous statue of Christ the Redeemer. This Rio icon has become one of the real symbols of the city, and the views from the top are absolutely amazing. Even better, however, is the journey through the Atlantic rainforest of the Tijuca National Park on the way. 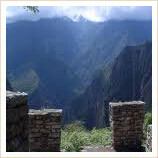 This is the largest national park within a city in the world, and the lush forest, hidden waterfalls and wildlife are a real surprise for many visitors and often end up being the favourite part of people's trip. Another favourite tour in Rio is to take a cable-car ride to the top of Sugarloaf Mountain. This journey begins in the Urca area, from where you take two separate cable-cars up to the top of Sugarloaf, where you're rewarded with superlative views across Rio, with its hills, beaches, favelas and bays. You can easily make this trip by yourself, but most people opt for an organised tour which includes visits to some of the city centre sights. The two beachside areas of Copacabana and Ipanema are where many visitors to Rio spend most of their trip, and both are great fun. At each end of Copacabana beach is a historic fort, the first (Duque de Caxias) was built in 1767 to defend against a feared Spanish invasion, and at the other end the Forte de Copacabana was built more recently, in 1914, because of fears that the city was vulnerable to artillery attack by sea. The latter is now the Brazilian Army Museum and is well worth a visit, if only because you get superb photos of the long stretch of Copacabana beach from here. The next beach over from Copacabana is also one of Rio’s most famous, and the inspiration behind the song "The girl from Ipanema". Ipanema is a bit more upscale than Copacabana, and also a little more relaxed. It has a really good selection of bars and restaurants and in many ways sums up everything that’s great about Rio: it’s very cool but very laid-back, it’s less touristy than Copacabana and it’s an area that really shouldn’t be missed. You can easily walk to Ipanema from Copacabana, but a quick hop on the Metro might be easiest. It’s pretty difficult to go wrong as your stop is the end of the line at the Estação Ipanema/General Osório. Depending on which Copacabana station you get on at, it’s either two or three stops. You’ll walk up into the very pleasant square of Praça General Osório. There are plenty of restaurants (and a post office!) here and it’s also where the famous Hippie Fair takes place every Sunday – definitely a must-see if it fits in with your itinerary. Running along the north side of the square (away from the beach) is Rua Visconde de Paraja. This is Ipanema’s main drag and if you walk west along it for a few blocks you’ll come to Ipanema’s other main square, the Praça da Paz. This is a real favourite with locals and is surrounded by great restaurants, nice bars and some good shops. If you come early in the morning you can watch people doing Tai Chi, while on Fridays there is a weekly farmer’s market. The streets crossing Visconde de Paraja and running between the beach and Rio’s city lake (Lagoa) also definitely merit a bit of wandering, as many are lined with great shops, restaurants and bars. If you’ve only got a limited amount of time, then we’d probably choose two of the streets on the far side of the Praça da Paz: Garcia d’Avila is Ipanema’s diamond district, while Maria Quiteria has some of the city’s best bars – if you’re getting a taxi, ask for the Baixo Quiteria. The centre of Rio is, appropriately enough, known as Centro in Portuguese. Although most tourists don’t choose to stay here, it’s well worth a trip in to see a different side of this fantastic city. Here you’ll find the skyscrapers you’d expect in one of the world’s fastest-growing cities, but also some of Brazil’s best colonial architecture. Again, the Metro is the easiest way to get here, and from Ipanema or Copacabana you don’t need to change trains, just choose which stop to get off at. This will depend on what you want to see, of course! Cinelandia is a good place to start a walking tour of Rio, and leaving the station you will exit directly onto the main square. Directly across from you are the elegant National Library and Museum of Fine Arts – both can be visited – while just to the north is the stunning Municipal Theatre, constructed in 1909 and based on the Paris Opera. Meanwhile, over the road to the south is Praça Mahatma Gandi, with its enormous water fountain, and just beyond that is a real treat if you’d like to take a break: the beautiful Passeio Publico park: an oasis of green trees and little streams in the heart of downtown Rio. A stop further north, Carioca is the busiest station on the Rio Metro and is best avoided at rush hour. However, it’s the perfect base for exploring some of Rio’s oldest churches and architecture. If you take the Rio Branco exit from the station, walk north a block, and then turn right along Avenida 7 de Septembro, you will hit the Praça XV de Novembro after three blocks. The square is surrounded by some of Rio’s finest buildings, including the Imperial Palace on the south side, the Carmelite Convent to the west, and the old Municipal Market building to the east, fronting onto the Atlantic Ocean. To the north side of the square is the Arco de Teles, a small archway through which you can enter the Travessa do Comercio, which is one of the oldest streets in Rio. It feels a little like the small medieval streets of York or Canterbury, with small shops and bars at ground level and balconies above. It’s a good spot to sit for a quick drink or a bite to eat. You can find just about every kind of international food (except English!) when you're on holiday in Rio, but one thing stands out above all others: feijoada. This is a traditional stew of pork and beans, served with white rice and is the speciality of Rio. It’s not particularly spicy but it’s pretty substantial, so if you’re having it for lunch then be prepared to spend some time sitting afterwards! 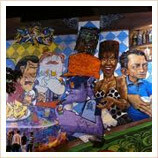 Possibly the best place to head for feijoada is the Casa de Feijoada at 10B Rua Prudente at the Copacabana end of Ipanema. They’re open for lunch and dinner every day of the week, so you can be sure you won’t miss out! Another great place to check out in Ipanema is Zaza Bistro Tropical, Rua Joana Angélica, 40, where they offer an interesting take on Brazilian food. It is open weekly from 19:30. Another Brazilian speciality is rodizio which are basically all-you-can-eat grills. The quality of the meat is usually superb but although there’s always a good salad counter, it’s probably not one for vegetarians... There are several good rodizios in Ipanema: Carretão at 112 Visconde de Paraja and Porcão at 218 Rua Barão da Torre are both good, traditional choices, while the Esplanada Grill is just down the road from Portão at No.600. In Copacabana, the Rincão do Tché at 220a Rua Domingos Ferreira is a good bet, as is the Pampa Oceana at 21 Rua Duvivier. For a really special meal in Centro, try the Atrium at 48 Praça XV de Novembro (the main square) – there aren’t many time you can eat in a genuine 18th-century palace! 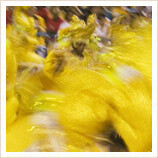 If you want to head out dancing in Rio, then we'd recommend you try the local samba clubs. Whilst more 'European' style clubs exist, they have strict door policies and are very pricey. You can expect to pay R$150-250 at Baronetti, R. Barão da Torre 354, Ipanema, and certainly don’t expect to wander in off the beach in shorts. Samba clubs on the other had are cheaper, much more laid back and the live music is fantastic. 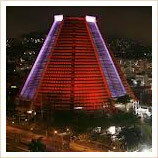 One of the most famous clubs for live music in Rio is Carioca de Gema, at Avenida Mem de Sá 79, Lapa. This place really gets going at around 11pm and can get very busy at the weekends. Head there on Monday when the atmosphere is still alive but you can move around a bit more easily. The Lapa district of the city can be easily reached by getting the metro to Cinelandia station and it is where most of the live music venues in Rio are found. This includes the intriguing Rio Scenarium, R. do Lavradio 20, Lapa. Set over three floors, the place is full of antiques and curiosities along with a hefty helping of live music and DJs. Whilst the best of Rio's live music venues are found in Lapa, if you want to stay by the beach then you can head to Espuma na Pressão, Avenida Atlântica 2334, Copacabana, where you can hear samba and bossa nova every Saturday and Sunday evening. 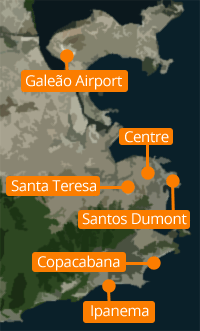 Rio has two main airports, Galeao and Santos Dumont. Galeao is the main international airport, so is where you're likely to start your holiday in Rio if you're flying from the UK: there are direct flights with BA from Heathrow, as well as various other options via Lisbon, Amsterdam, Paris and Madrid. 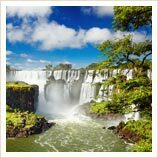 Galeao also handles most connections within South America, including direct flights from Rio to Argentina, Chile and Peru. Closer in to the centre, Santos Dumont mainly handles domestic flights, although some flights from other South American countries such as Paraguay do land here. As for getting out of Rio and seeing the rest of Brazil, there are various transportation connections throughout the country. While Brazilian roads are quite good and there is an extensive coach network, the distances are huge and journeys long so unless your holiday isn't at all time-limited, we usually recommend taking internal flights between cities. There are also some rail services out of Rio, but these train routes are primarily designed for commuters and are of little use to holiday-makers. When you're not on a guided tour, the Rio Metro is by far the easiest and most reliable way to get around Rio, and it will take you to most places you are likely to want to visit. 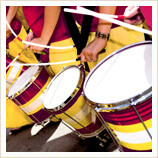 See our guide to transport in Rio for details about using the Metro and other public transport in Rio. If you aren’t going to use the metro, then it’s worth getting a taxi as the bus system can be rather difficult to negotiate if you don't speak Portuguese. Taxi drivers will also usually not speak English, so it's not a bad idea to ask hotels and restaurants to call them for you, or at least to practice pronouncing the name of where you want to go and knowing roughly how much the journey should cost. A taxi from Copacabana to Ipanema will be between R$15-20, and the fare will be similar between Copacabana and Santa Teresa or the centre, but a journey out to the airport from either of these two areas can be as much as R$80. Because Rio is in the Southern hemisphere, its seasons run opposite to Europe and North America. Summer lasts from late November until March, and the average temperature is about 29 degrees. Winter is a bit colder, but not terribly so – the temperature usually hovers around the low 20s from June to August, and the Spring and Autumn seasons fall between Winter and Summer temperatures. All our holidays to Rio are 100% tailormade, so if you'd like to customise any of the tours you see above, or just plan a trip completely from scratch then get in touch and let us know - we'll be delighted to help you plan your perfect holiday in Rio de Janeiro! Rio de Janeiro literally means "January River" because when Portuguese explorers first sailed into the Guanabara Bay on the 1st January 1502, they didn't think it was a bay, but thought it was the estuary of a huge river like the Amazon?